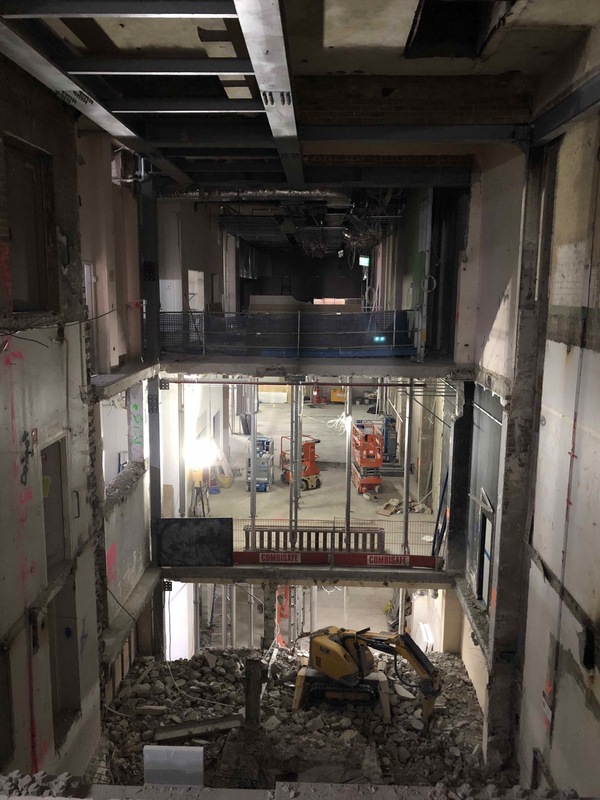 The ground and level 1 circulation galleries are beginning to take shape. The lift doors can be seen behind the light on ground floor (at the centre of this image). New floors and a new stair from ground to level 1 will be constructed in this area.